14 Mar 2019 – There seems to be no limit to the earth’s fury these days, as polar vortices, hurricanes, floods, and forest fires wreak havoc with increasing regularity. There is also an accompanying sense of inevitability and helplessness in the face of such visitations — that nothing can be done, or that anything that is being done will not be sufficient to stop the devastating consequences of a warming climate. It’s time to reverse this fatalistic response and learn from communities across the United States that — away from the public glare — are taking steps to adapt to our changing environment. These unsung climate heroes rarely make the headlines, but dozens of cities and states are saving lives and protecting properties and businesses from the losses inflicted by extreme weather. Perhaps it’s just human nature to zoom in on the damage done, rather than the damage averted, when disaster strikes. Still, we can learn more from the collaboration, planning, and forward-looking investments that are making some communities more resilient to the impact of climate change. What these communities tell us is that adaptation is not an option: It’s the smartest way they have found to overcome not just today’s threats but the risks they might face in the future. While Boston’s favorable location on the harbor helped it grow into a major commercial city, coastal expansion has also made the city more vulnerable to climate change. In the last year, the ocean has surged into Boston’s Seaport, across Atlantic Avenue, and flooded business districts and temporarily closed a subway station. 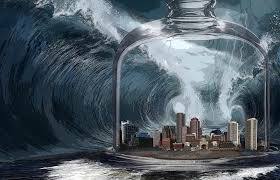 Yet Boston recognized the threat of climate change early: In 2007, then-mayor Tom Menino directed each city department to assess their risks and vulnerabilities from a changing climate to develop “Climate Ready Boston — Municipal Vulnerability to Climate Change,” to project how climate change is expected to impact the city’s three major climate hazards: extreme heat, stormwater flooding, and coastal and riverine flooding. The challenge is to turn the knowledge gained from Climate Ready Boston into definitive adaptation action at the scale required. This could include everything from new zoning initiatives and building codes to billion-dollar capital projects to create shoreline buffers and protective structures in the most vulnerable areas. Cities need to do more to share their learnings in building resilience against our changing climate. We were recently in Miami, which is moving aggressively to adapt. In 2017, its citizens voted to tax themselves to build resilience against flooding and storm surges by approving a $400 million bond issue that is financing projects across the city. They are finding that upfront investments in resilience can yield at least four times the savings from avoided damages due to extreme weather. Florida’s Division of Emergency Management, for example, calculated that projects to reduce wind and water damage in the state avoided $81 million in losses when Hurricane Matthew struck in 2016, while costing only $19 million to implement. These smart investments should encourage President Trump to act on his campaign pledge to spend $1 trillion in new infrastructure. A federal program focused on building resilient communities would go a long way to preventing or alleviating the untold suffering that the effects of climate change are already inflicting on America. Failure to act is not an option. The American Society of Civil Engineers estimates the country could lose 2.5 million jobs and $4 trillion in GDP over this decade if it fails to invest in the infrastructure needed for adaptation. So this is a once-in-a-lifetime opportunity to get it right. A program that prioritized smart adaptation would pay for itself several times over in healthier and more resilient communities, better productivity, higher economic growth, and higher standards of living. And following the recent shutdown of government, such a climate-resilient infrastructure plan would go a long way to rebuild bridges across party divides. Infrastructure has always enjoyed bipartisan support, and as the fiscal stimulus of tax cuts runs out of steam, now is the time to introduce a bold plan that climate-proofs communities for generations to come. Unlike tax cuts, infrastructure leaves lasting benefits. And unlike other initiatives the government might chose to pursue, this is not one that can wait. 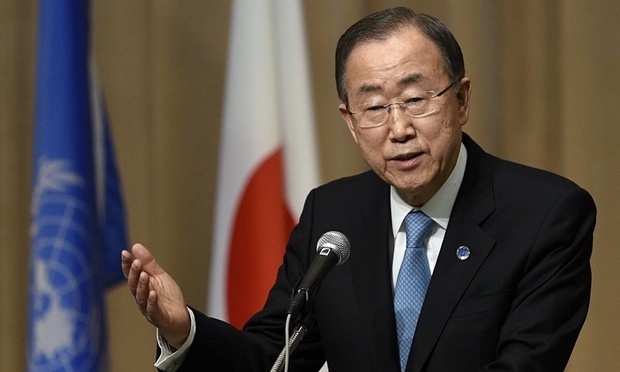 Ban Ki-moon is the former secretary general of the United Nations and is chair of the Global Commission on Adaptation. Patrick Verkooijen is CEO of the Global Center on Adaptation and Professor of Sustainable Development Diplomacy at the Fletcher School of Law and Diplomacy.